This question comes up seemingly every time the UFC has a PPV event, so I thought I'd make a quick guide. 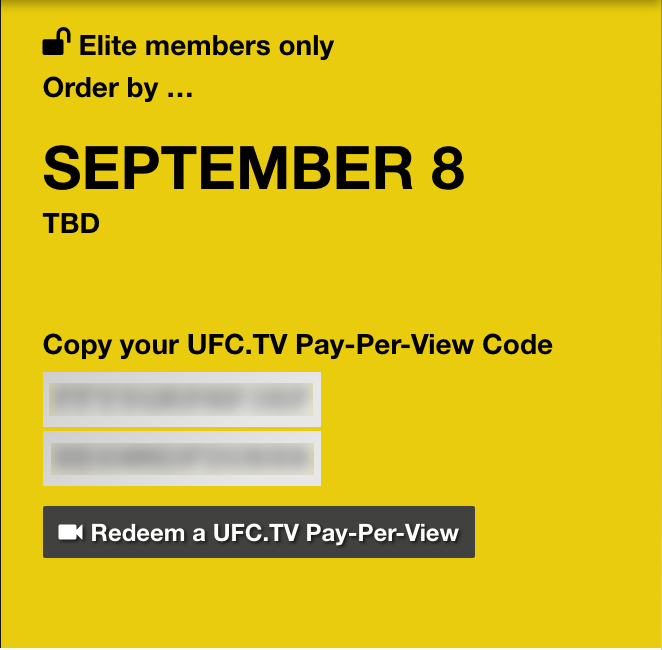 NOTE: Only the Elite Membership includes the two PPV codes. Premium, and Ultimate do not. For more information about what each membership level includes, or to upgrade your membership, click here. 1. Log in to your account on UFCFightClub.com, and go to the home page. 3. You will see a page that shows the upcoming PPV, and displays your two unique PPV codes on the right side of the screen. The codes are generic, and can be used for any event, so even if the event image isn't the event you want to purchase, you're fine. Copy one of the codes. NOTE: If your codes are not displaying in this tab, you will need to contact support for assistance. See the post below for support information. 5. 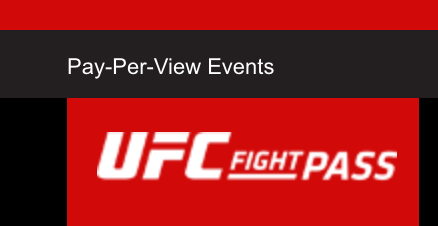 Click on the Pay Per View Events link in the top left corner of the page. 6. Find the event you want to purchase, and click the purchase button and then choose either SD, or HD (your code will work for both). 8. Sign in to your UFC.TV account, or create one if you don't already have one (this is the same login as UFC Fight Pass). 7. On the purchase screen, enter your code in the Promotional Code box below the payment section and click the Check button. The charge for the PPV will be removed and you'll be able to complete the order without payment. With retrieving your codes, contact UFC Fight Club Support at ufcfightclub@support.sparkart.com. With ordering, or watching the PPV, or your UFC.TV account, contact UFC.TV Support through e-mail or live chat via the help link at the bottom of the page.